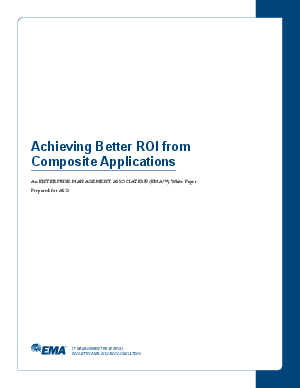 Composite applications can provide multiple benefits, such as business agility, better utilization of business software assets through code reuse, development efficiencies, and cost optimization. Once companies are skilled at deploying them, many find that they roll out new applications and integrations faster, while maximizing the value of "tried and true" software components. However, these applications also introduce significant challenges. Without adequate governance - monitoring, management, and change control, for example - the complexity of these integrated systems can raise support costs, increase the risk of performance and availability issues, and adversely impact both internal and external customers. This paper explores the characteristics, advantages, and challenges of composite applications in more detail.